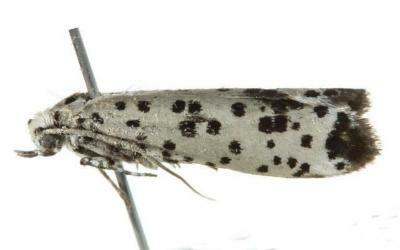 The adult moth has off-white forewings with black spots, with a black overlapping cluster around the margin. The hindwings grey or brown colour,fading to white at the bases. The head is white, and the thorax is white with two prominent black spots. The abdomen has alternating bands of brown and white hairs. 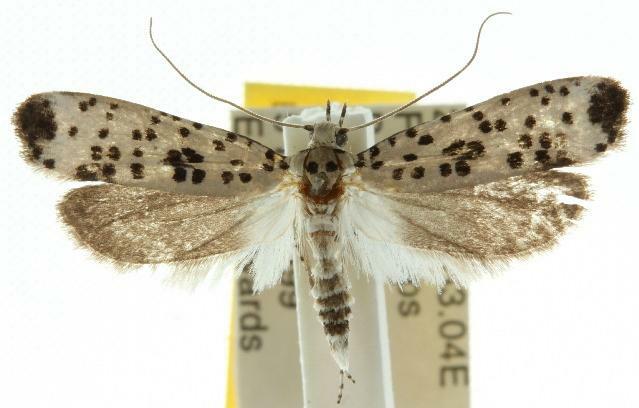 The wingspan of the moth is about 2 cms. Part 28 (1863), pp. 533-532, No. 20.